I was informed by the officers that the budget for Godalming North had been slashed to a mere £10,000. There really is no money left. I was also told I had to allocate this money to a project at this meeting. There was therefore no chance to consult more widely about what the community might prioritise. 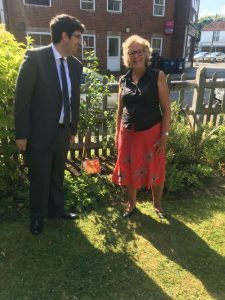 Having been sprung into this I chose to fund the Farncombe Hill Footway resurfacing, to improve pedestrian access in to Farncombe, and Farncombe Hill. Last weekend there were thousands of Great Get Together events across our nation on the anniversary of the death of Jo Cox MP. These were inspired by her words, “far more unites us than divides us”. 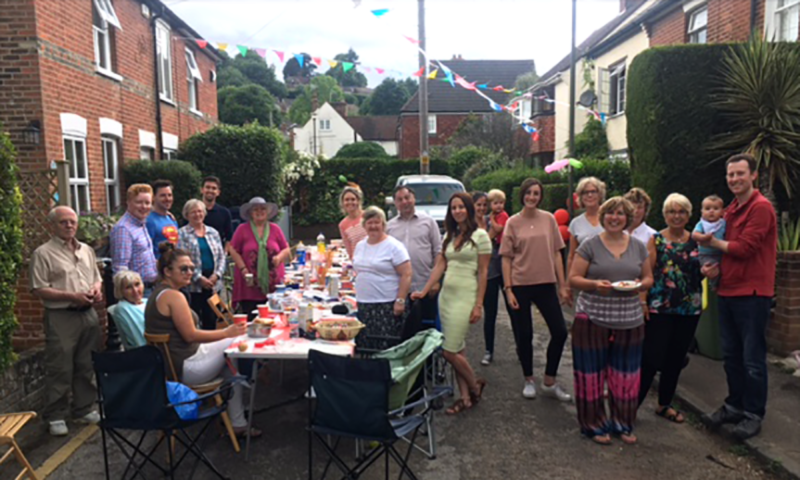 At St John’s Church in Farncombe the Great Get Together event took the form of a Father’s Day tea-party. We also planted a cherry tree which was dedicated by Rev James Rattue and held a short service. Local people and local businesses made kind contributions. Our new bakery, Loaf, gave a gorgeous chocolate cake. Gorringe &Son gave an engraved brass plaque to mark the occasion. Godalming Choral Society sang for the service which added to the feeling of harmony. Let us work a little harder – together!